Shouldn't the 1Password app download and updates come with a hash and signing keys for verification? 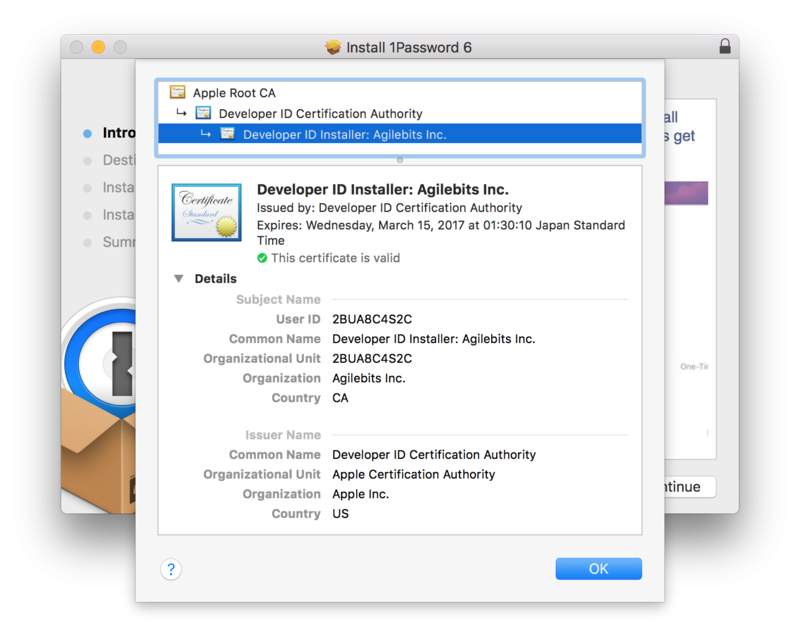 Shouldn't the 1Password app download (dmg) and updates (pkg) come with a hash and signing keys for verification? Like other sensitive apps, for example: Bitcoincore, Tor and GPG Tools etc. It seems pretty standard among sensitive apps to provide numerous signatures for verification along with a verifiable hash of the installation file. Referrer: forum-search:Shouldn't the 1Password app download and updates come with a hash and signing keys for verification? This isn't feasible for many apps (especially open source software) since it means registering with Apple, but it's something that's important to us so we can get along with Gatekeeper, which helps us stay safe from software from unknown or untrusted sources. This is both transparent and easy to verify for users — unlike finding and comparing hashes, which is out of reach for most users. But while I think these are good measures, we're always open to suggestions. Cheers!